Questyle keeps challenging the conventional DAP concept as seen in the new QP2R Digital Audio Player. 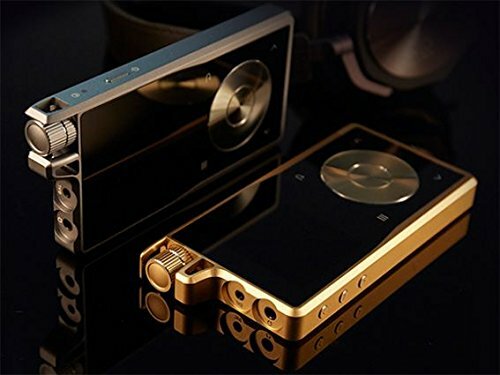 It combines outstanding audio performance with unchanged size, doubled driving power with no more power consumption, and fine craft within a reasonable price range. The new QP2R carries Questyle's new design of Current Mode Amplifier built with all discrete circuit and pure Class A working state. On the QP2R PCB, audio section covers about 70% of the whole device.Due to the full-balanced output, the amplifier circuits are upgraded to four groups from the original two. Four groups of Current Mode Amplifier circuits are located on both front and back of the PCB, which significantly shortens the distance that signals bypass on the PCB. Thus the audio performance is improved, which gives QP2R 0.000% ultra-low distortion and less than 0.1Ω output impedance. QP2R is the first portable DAP in the world which uses pure Class A BIAS control system. The Questyle Audio QP2R High-Resolution Digital Audio Player (DAP) is an upgrade from the previous QP1R reference quality music player. Nnew patented technology of plane bearing on the mechanical steering wheel and the volume knob. If you have any questions about this product by Questyle, contact us by completing and submitting the form below. If you are looking for a specif part number, please include it with your message.